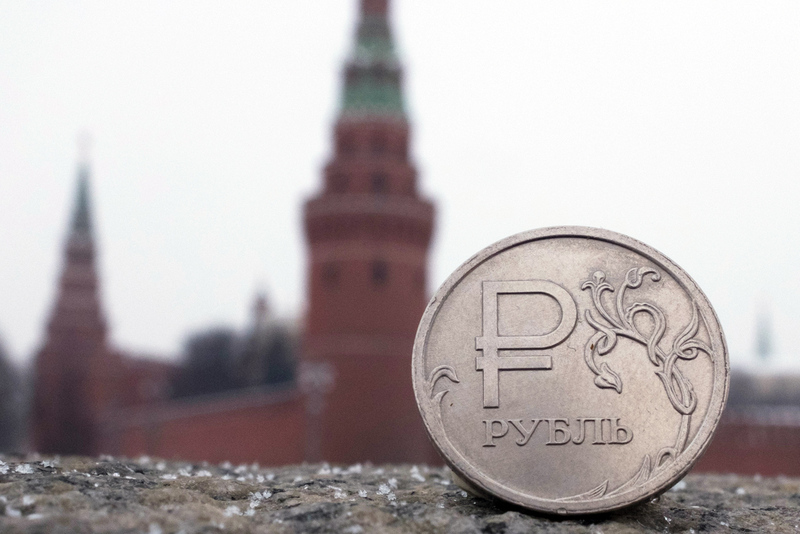 Is the Russian ruble poised for a rally? Lifting of sanctions may push the ruble “to outperform its fundamentals,” and even send it below the 50-ruble threshold against the dollar. Bloomberg predicts the ruble will gain 5-10% if the U.S. lifts sanctions. A majority of economists surveyed by Bloomberg believes the Russian ruble might appreciate as much as 10 percent. The leading American business news company said that 41 percent of economists predict only a gain of 1 percent to 5 percent if sanctions are lifted. The ruble may appreciate to 55-57 rubles versus the dollar, noted Bloomberg, citing the Bank of America Corp. Meanwhile, analysts at Societe Generale SA think the lifting of sanctions may push the ruble “to outperform its fundamentals,” and even send it below the 50-ruble threshold against the dollar.